© Retrieved from Henkel's website on May 29, 2017. Companies are like sharks – they have to keep moving or die; develop new products and services or improve existing ones. Without evolving product innovation, companies and products like Blockbuster and USBdrives can just wither away. A paradigm shift has happened In product development and innovation. Where once businesses marketed to their customers via broadcast channels (TV, radio, and print), now businesses broadcast using social media, highly interactive platforms which allow individuals, communities, and business to collectively share, co-create, discuss, and modify user-generated content. Social media has become a gigantic global focus group petrie dish, including blogs (Blogger), microblogging (Twitter), collaborative wiki-projects (Wikipedia), forums (Harley Davidson), professional networking sites (LinkedIn), social networks (Facebook, Google+), photographs (Instagram), and videos (YouTube) 1. What is the genesis for new or improved product ideas for business? It’s called “Open Innovation”2, a concept fathered by Henry Chesbrough, and is defined as “The formal discipline and practice of leveraging the discoveries of unobvious others as input for the innovation process through formal and informal relationships (it is the informal relationship that constitutes this innovativeness of open innovation)”. Companies are actively embracing Open Innovation, and they are relying on social media to help them generate, incubate, and give birth to new and refined products through an intricate complementary process of data-gathering, analysis, and customer communication. But what new tasks, disciplines, and organizational restructuring must communication professionals need now to consider turning Open Innovation into measurable and repeatable ROI on product innovation? Today, multi-national firms rarely innovate alone – there is a dynamic interactive process within innovative organizations to establish networks between internal and external entities, particularly in new product development3. More businesses are relying on “co-creation” to develop new or enhance existing products. The term, “co-creation”, signifies an active, creative and social collaboration process, facilitated by the company, between customers and company department producers. Customer co-creation, in short, is open innovation with customers. The idea of co-creation is to actively involve customers in the design or development of future offerings, often with the help of tools that are provided by the firm. Many excellent examples of case studies on social media’s impact on customer co-creation can be found in the University of Waterloo’s Social Media for Business Performance archives: Starbucks Ideas, Dell Computers, Dorrito’s, to name a few. But to create value from social media co-creation, firms have to develop dedicated processes to analyze its benefit from vast amounts of content created by customers4. With respect to product design innovation in particular, there are specific new social media tools a company can use. One process is called “broadcast search”, and uses crowdsourcing as its tool. According to Jeff Howe, who claims to have coined the term, crowdsourcing, simply defined, represents the act of a company or institution taking a function once performed by employees and outsourcing it to an undefined (and generally large) network of people in the form of an open call on social media, to help the host company develop a new feature for an iconic brand (see University of Waterloo’s Social Media for Business Performance case study on Nivea). Submissions by “solvers” are evaluated by a committee or intermediary with help of a performance scale, and the best solution gets an award. (Remember, co-creation is a voluntary form of company-customer interaction. Potential participants have to be motivated by dedicated incentives to be willing to engage in co-creation. (For perspective, over 120,000 individuals around the world served as voluntary members of Boeing’s World Design Team, contributing input to the design of its new 787 Dreamliner airplane). If broadcast search is the macro approach for product innovation, then co-creation’s micro tool takes the form of an ideation contest to generate novel concepts and ideas. In an ideation contest, a firm seeking innovation-related information posts a request to a population of customers, asking for solutions to a given task within a given timeframe. The firm then provides an award to the participants that generate the best solutions. This competitive mechanism is an explicit strategy to foster customer innovation. It should encourage more or better customers to participate, should inspire their creativity, and increase the quality of the submissions. While co-creation sounds beneficial at first glimpse, crowdsourcing could bear some risks6. It could happen that the host company initiating the contest loses control of the initiative. Customers could use the co-creation method to discuss topics they favour and not act in the best interest of the host. If the host tries to govern the topics of the contest against the will of the customers, they could actually leave the contest and switch to social media offers and continue their creative effort there, which leaves the host with fewer participants, and “bad press”. Participants have used social media to intentionally interfere with an ideation contest by posting destructive contributions. The usage of social media in customer co-creation then is a double-edged sword. That being said, let’s examine Henkel’s PR brand disaster. © Mark Frauenfelder, boingboing.net. Retrieved from Dish Soap Art Competition on May 29, 2017. Henkel, a household name in Europe, and with a global footprint, achieved the dubious distinction of being awarded the worst PR disaster in brand advertising history in 2011 with its ideation contest for “Pril”, “Mein Pril – Mein Stil” (“My Pril, My Way’), the #1 dishwasher detergent of choice in Germany, and Henkel’s most iconic brand since 1951. The Company’s motivation behind the contest was to keep engaging people with its sixty-plus year-old brand. In Spring, 2011, Henkel hired a market research and ad agency to help Henkel reach out to their consumer base to participate in a contest to develop a new label for Pril’s 2012 edition. The agency put a banner about the contest both on the company’s website and on the company’s Facebook page. Those who wished to participate online responded to the agency’s website banner and were given a small design toolkit to create the new package design. The Company promised that all users could vote, and in true democratic fashion, the design with the largest number of votes would be brought to the supermarkets in 2012. The label style of Pril dishwasher detergent had been a variety of flowery styles for decades (please note Henkel had been doing annual design contests since 1972, using traditional market outreach channels, putting the new designs on the annual new label as removable vinyl decals, creating Pril t-shirts, and putting the new annual design on a train car which travels from Dusseldorf to Switzerland, transporting Pril’s ingredients for detergents and cleansers). Clearly, maintaining brand recognition was a very big motivator for Henkel’s marketing team. And this ideation contest would be management’s first foray into using social media for innovative idea co-creation. The winner by popular vote of the new Pril label was created by one of the top three Twitter users in Germany, Peter Breuer, a serious man, and a copy editor who worked for a competitive ad agency in Hamburg. His design used an ugly (“baby poo”) brown colour, showing a crude pen-and-ink sketch of a barbequed chicken, with an idiotic text caption, “Tastes Yummy Like Chicken”. Chicken-flavoured dishwasher detergent is an unusual message for a dish detergent, and paradoxically evil and innocent at the same time. When interviewed later (a huge media storm had brewed by then), Herr Breurer said he was disappointed by Henkel’s use of insidious manipulative social media crowd-pulling through their crowdsourcing tactics to create new sales. He just wanted to have some fun with the contest and, like some form of humour troll, “game” Henkel. Herr Breuer said the contest was so stupid: more boring flowers and removable flower decals from the label. In his opinion, the sole intention of the competition was for Henkel to freeload a new inventory of flower arrangement designs, and to make money from public interest in the new product. Further, he said his purpose was to show an unforeseen design was possible via a rudimentary and unintentional-looking free-hand pen-and-ink drawing. Who needs a Henkel-provided online fancy design tool kit to win? He contributed a totally inappropriate design that had nothing to do with Pril’s traditional look, but complied 100% with the contest’s terms and conditions: nothing sexist, nothing racist, and no other competitive brand names mentioned. In an interview with Speigel, Pril’s Vice President of Marketing, Eckhard von Eysmondt, said: “In principle, we also welcome humorous designs… a variant with reference to chicken flavour, however, “does not have the best prerequisites to later belong to the range of a dishwashing detergent”. However, Herr Eysmondt was in a dilemma: the design was ranked #1 by a huge margin of 200,000+ votes, and there were only two weeks left before the contest closed (hence, not enough time for some nefarious action to “happen” and put a thumb on the scale for other design submissions [a dark choice]). What did the Henkel do? First, they removed the BBQ chicken design from their Facebook website; they backdated and amended the terms and conditions to now include a hastily added new clause: the winning design had to be compliant with traditional design principles; and created new rules to choose the winner. It would no longer be a democratic process: the group of five customer judges (a place was raffled in a separate application) would now narrow all the entries to the top ten, and then an in-house “expert” panel composed of Henkel’s management would choose the winner. Users were furious! Some called Henkel’s action a “mendacious campaign” or “election fraud” and posted that Pril wanted to throw unwelcome designs from the competition. Facebook users were outraged! Bloggers called on the other Facebook community members to boycott Henkel in the future. Spiegel Online media got onboard with the story. The designer, Herr Breuer, then pulled his BBQ chicken design from the contest. Bear in mind, the design was by one of the most tweeted people in Germany, and it appeared on 4Chan’s website. At the time, 4Chan, possibly the most infamous website on the internet, was responsible for creating some of the most popular trends ever to grace the web. Its stats are formidable: Total Posts more than 2.5 billion; Current Users in the hundreds of thousands, and Active Content almost 1300 GB. And in case anyone not on social media missed it, the Pril PR storm made it to prime TV German news: the unanimous media message – how stupid can Henkel be? Henkel learned the hard way: no one likes a spoilsport, and received the worst PR disaster of the year award (this might remind some of you of the recent United Airlines (UA) PR nightmare when UA security pulled a Chinese-American medical doctor off the plane so four UA staff could get seats. C-suite initially supported the doctor’s removal but the President’s public turnaround apology a couple of days later – how many millions did UA’s stock crash after social media got involved? – sounded a little too gratuitous and self-serving). But with respect to Pril, let’s assume the VP Marketing was caught off-guard on how to handle the negative PR sentiment tsunami. He finally had the courage to put the Company’s toe in the ideation contest pool, and now, there’s a Level 5 hurricane storm of customer rage and an internal company C-suite meltdown. The VP was trained to protect his brand. He was in unknown waters: experiencing first-hand the extent of brand damage a deviant social media troll could inflict. Hence, his instinctive first reaction “to turtle”, to go to ground, is an understandable response. In the abstract, it would seem simple to make better choices, but in real life, when you are the traditionally trained brand manager in a traditional company which happens to be an iconic brand, you have no training on how to handle this type of situation in real-time. Could the PR disaster have been handled differently? “Yes”, according to Frank Piller6, Ph. D., in his 2016 lecture at Concordia University, Montreal: “Communicators as Innovators: Leveraging Social Media to Engage Stakeholders and to Reshape the Way We Innovate” (for “Pril”, watch from 48.43 to 54.00 in the video). Piller’s recommendations: in social media innovative co-creation, don’t make a mistake in the first line. Pick an innovation agency, rather than a marketing agency as a marketing agency is all about the democratic process – let the users decide the winner. For an innovative agency, experience dictates to never let users decide as the corporation needs to have control of the end result. An innovative agency would also have advised the Company to simply add a short line in the terms and conditions in the beginning: the users would create the short list of most popular designs, but the in-house professional panel would pick the winner. As well, Piller astutely pointed out that in the contest rules, Pril never said what volume they would launch the new design label product winner. Henkel could have been a good sport about it; they should have come clean they got “pranked”, and would standby their promise to launch a limited edition of the #1 voted favourite design, “Tastes Yummy Like Chicken”, in a very cool supermarket in a very cool location for a very limited time: one week. The BBQ chicken design would have become a collector’s item. Henkel would limit their financial exposure with a limited run, use humour to promote themselves as good sports, and instead of becoming social media pariah, they’d be social media’s hero. © Retrieved from http://news.bbc.co.uk/earth/hi/earth_news/newsid_8197000/8197932.stm on May 29, 2017. With some brave creativity (and some humility), you can make a silk purse out of a sow’s ear. Negative feedback could be the “salt in the soup” to a company’s future social media co-creations. You can learn from your mistakes. Lesson #1: Respect you customers. Keep your word. Play by the rules. Don’t take back the ball. Learn to leverage disaster. Be a good sport. Lesson #2: Keep open and comprehensive communication, but remember, firms give up control to an unknown crowd. Organizations have to be aware there are deviant users7, the dark side risks, in every social media co-creation. Lesson #3: Companies need to formalize a social media strategy. The traditional marketing, product development, R+D, IT data analysis roles have to coalesce into a daunting new role – someone who can combine the skills of the social scientist with the data scientist. Lesson #4: Stay calm! But if you are one of those new hybrid product development managers, and you do find yourself engulfed in a PR nightmare, the colloquial sh*tstorm (in the German language, the term is used as a loanword and refers more specifically to a sudden, massive outburst of negative criticism on social media), maybe find a diversion for a few moments. 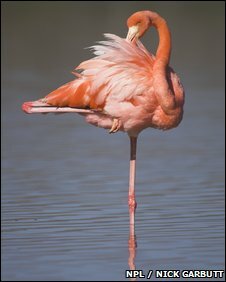 Read a riveting research piece on another subject outside your brand, like this one: how to determine if flamingoes need muscles to stand on one leg interminably. Then, follow-up with a crowdsourcing instructional video (for flamingoes) to get your head back in the game. Who knows, learning about something outside-your-box, flamingoes, might be the spark you need for a new co-creative ideation contest! Prankedya’! 2. Chesbrough, H. (2006). Open innovation: a new paradigm for understanding industrial innovation. Open innovation: Researching a new paradigm, 400, 0-19. 3. Roser, T./Samson, A./Humphreys, P./Cruz-Valdivieso, E. (2009): New pathways to value: Co-creating products by collaborating with customers, London. 4. (Culnan, M.J./McHugh, J./Zubillage, J.I. (2010): How large U.S. companies can use twitter and other social media to gain business value, in: MIS Quarterly Executive, Vol. 9, No. 4, S. 243-259. 5. A. Gnocchi (2011) Social media: Crowdsourcing – customer participation has potential, called on 26 January 2014 Bullinger, A.C./Neyer, A.K./Rass, M./Moeslein, K.M. (2010): Community-Based Innovation Con- tests: Where Competition Meets Cooperation, in: Creativity and Innovation Management, Vol. 19, No. 3, S. 290-303. 6. Frank Piller, Ph. D. Associate Dean, Professor and Chair of Technology & Innovation Management RWTH Aachen University’s School of Business and Economics, Germany Academic Director, RWTH Aachen & Fraunhofer Executive MBA Program.